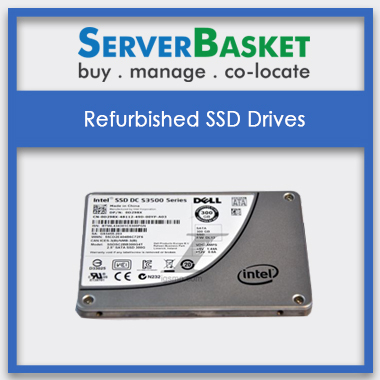 A wide range of Solid State Drives (SSD) collection is available at Server Basket i.e. SAS/SATA drives. Solid State Drives have now become the storage solution and are replacing the majority of hard disk drives. These drives have high access speed, uses flash memory to store data which tend to deliver high performance and reliability, consumes less power, generates no noise and less heat since there are no moving parts. SSD drives are available in 2.5″, 1.8″, and 1.0″ size, increasing the availability of space in server/desktop. Solid State Drives available at Server Basket are suitable for any server platforms of any generation/series of Dell, HP, IBM, and Lenovo etc. SSD drives are easy to install and occupy less space on your server as they come in the size which is less than HHD drives i.e. from 1.0 inch to 2.5 inches. SSD drives have access speed of 35-100 microseconds which is 100 times faster than HDD drives. This access speed can make programs run more quickly and is very significant for programs that access a large amount of data. These drives have no moving parts and they use flash memory to store data which supply utmost performance and reliability and SSD uses less power than a standard HDD. Since there are no moving parts and due to the nature of flash memory solid state drives generate less heat that increases its reliability and lifespan. Also, solid state drives are not affected by magnetism making them immune to any magnet that may disturb its function. SSD drives can support various advanced technologies to keep up with even the most demanding workloads. Some of the supported advanced technologies are Hardware Encryption, End-to-End Data Protection, High Endurance Technology (HET), Enhanced Power Loss Data Protection, Temperature Monitoring and Logging, Intel Smart Response Technology and Intel Remote Secure Erase. Innovative power management and thermal controlling constantly prevent overheating to deliver fast and smooth performance. Solid state drives available at Server Basket comes with the lowest price and are genuine products. The price that we offer is the best buy price compared to any other online store. 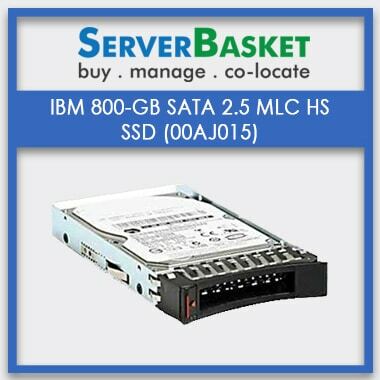 We do not charge anything extra other than the price that is offered and SSD at Server Basket comes with 1-year warranty. We at Server Basket provide all the technical support for free, be it installation/ upgrade, data transfer, repairs/replacement etc. We will be available 24/7, respond to your queries instantly and provide a valuable solution.